Does your employer offer contributions to the United Way? Smallprint Northeast captures your child’s fingerprint, hand print, foot print or artwork in silver pendants for necklaces or bracelets, cufflinks or key rings. These items would be cherished gifts for the woman in your life. Smallprint is offering 15% of the proceeds of all jewelry purchased to CURE Childhood Cancer Association. You won’t have to create a new Amazon.com account. Just sign in with your existing Amazon username and password, and remember to follow this link every time you make a purchase. There is no cap on donations, and almost all Amazon items are eligible, which means tens of millions of holiday gift options! So skip the long lines and purchase gifts that give back to childhood cancer research. 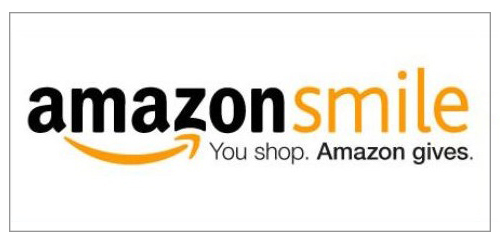 Click here for more information on AmazonSmile. Be sure to visit our friends at nosh. Located in the beautifully renovated building at 47 Russell Street, this place is sure to have something delicious for you to eat. We have partnered with nosh on a menu item – every time the menu item is ordered, CURE receives a $1 donation!! For the Winter season 2018, the menu item is “Taquitos: red chili beef, corn tortillas, cilantro crema, cotija cheese, salsa roja, mashed avocado, pickled onion”. That. Sounds. Delicious! Don’t delay, head on over to nosh and make a difference to CURE all while eating some delicious food. CURE Childhood Cancer Association has partnered with CauseWash to generate donations for CURE! CauseWash is a fundraising platform that helps local non-profits raise money and awareness for specific causes at zero-cost. We’ve combined our core beliefs of paying it forward and buying local to help make a difference in the communities we serve. CURE will receive a portion of the purchase price when you purchase a three pack of car washes here. The certificates can be used at local laser wash cash washes. Our friends at Awareness Coffee will donate $3 for every bag of their Pediatric Cancer Awareness Coffee sold to CURE, should you choose us upon checkout. They have different blends of coffee that support different causes – there’s something for everyone! Check out their page here and shop away! Get 10% off at Air Affair by using the code CURE! 10% of your total after the discount will be donated back to CURE! Consider a gift to the CURE Childhood Cancer Endowment Campaign. Planned giving provides a variety of ways for you to support CURE’s mission. We are pleased to offer you opportunities that help you, as well as CURE. It is our goal to make supporting CURE as rewarding, and as simple, as possible. Click here for information about CURE’s Planned Giving programs or contact us if you would like more information about how you can support CURE through a long-range or planned gift. Together with our advisors from the Rochester Area Community Foundation, we can give you illustrations on how a planned gift might be advantageous for you and your family. Any information you share with us will be kept strictly confidential. By remembering CURE in your will or estate planning you will be eligible to become a member in the Margaret G. Hummel Society. Consider planning and hosting a fundraising event to benefit CURE. It can be any kind of event you like — a garage sale, an art show, a sporting event, a dress down/up day at work, a concert, a wine tasting — you name it! Just Give allows you to donate to CURE in memory or in the name of a loved one. You also have the option of making a single or recurring donation. Network For Good allows you to designate your gift to an individual fund or purpose. It also allows you to create a tribute or to honor an individual as well as send an e card to that person letting them know that you made your gift as a tribute to, or in honor of them. You have the option of making a single or recurring donation. For more information regarding sponsorship opportunities, or to learn more about any of these events, please contact CURE’s Executive Director, Holly Dutcher. In 2018, 65 families heard the devastating words “Your child has cancer” or “Your child has a chronic blood disorder”. YOU can make a difference through your donation. CURE Childhood Cancer Association has met Better Business Bureau’s 20 Standards for Charity Accountability and is a BBB Accredited Charity. You can view our full charity report at bbb.org or give.org. CURE Childhood Cancer Association, Inc., does not collect, sell, distribute and/or publish any personal information pertaining to our donors, nor will CURE Childhood Cancer Association, Inc., send mailings to our donors on behalf of other organizations.